Choose from more than 1,400 courses (SCORM 1.2 compliant). DuPont Sustainable Solutions features a collection of online employee training courses, training DVDs, handbooks and posters designed to aid in your employee development. Trainers around the world have relied on DuPont Sustainable Solutions for 30 years to deliver award-winning, compelling training materials. These learning and development tools help save lives, empower employees, improve the workplace and keep your organization in compliance with government regulations. Our online employee training courses feature content that is specifically designed to help improve employee knowledge and performance. Choose from hundreds of safety, human resources, maintenance and reliability, healthcare, and government courses — all with a user-friendly interface and featuring interactive rich media to help engage training participants. Our online courses can easily be customized to your organization's specific needs by adding, editing or deleting audio, video, text, graphics, training points, questions in the course modules, self-checks, and pre- and post-tests. Best-selling online employee training courses include Arc Flash: Live to Tell, which covers important information on the latest version of NFPA70E and the Pipefitting 11-Part Series, which serves as a progressive introduction to the techniques and practices of the pipefitting art. Preview our online training courses online! Our off-the-shelf library features hundreds of training DVDs that can help your organization achieve your unique objectives while reinforcing your message year-round. A valuable feature of our DVDs is that the content is divided into chapters, offering the trainer natural pauses to discuss the training points. Also, the portable convenience of DVDs makes them a perfect delivery method for trainers who travel between work locations. Best-selling employee training DVDs include HazCom: In Sync with GHS, designed to help organizations comply with the training requirements of the OSHA Hazard Communication standard and Driven to Distraction, a high-impact training course which helps raise awareness of the dangerous epidemic of driving while distracted. Take Two...for Safety™: A New T.A.K.E. urges employees to take two minutes to think through a job before they start, to help ensure they are working as safely as possible. Preview and purchase training DVDs online! Our training videos are also available on USBs and include a printable Leader's Guide. Our Safety Matters Series delivers time-efficient training in less than 10 minutes on core safety topics. 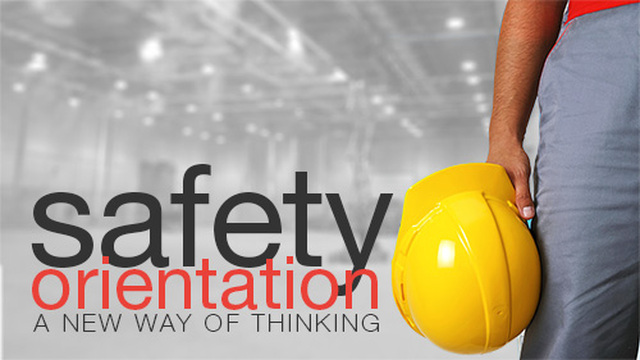 Titles include: Arc Flash, Emergency Action Planning, Active Shooter Preparedness, Fire Safety, Winter Safety, Walking and Working Surfaces, and more. Preview and purchase online! Our training handbooks will keep training content right at your employees' fingertips! These handbooks are typically between 16 and 20 pages and include a tear-out quiz at the end for documentation purposes. The development of your employees has never been easier with best-selling training handbooks such as Safety Orientation: On Alert, a new-hire handbook covering eight core compliance issues and Harassment Is..., a reference to help your employees recognize and eliminate the various forms of harassment that may arise in your organization. HIPAA Rules & Compliance reviews how the HIPAA Omnibus Rule impacts your HIPAA compliance strategies, covering unchanged requirements, qualified standards and critical changes. Finally, our training posters keep your training message in plain sight and remind employees of its importance each and every day. These laminated posters, typically measuring 18" x 24", cover such topics as handwashing, back safety, employee rights and more.